WPP has criticised a recommendation that shareholders vote against chief executive Sir Martin Sorrell's nearly 60% rise in compensation to £12.9m last year, claiming it does not "reflect the reality" of international competition. Shareholders will get the chance to lodge a protest vote against the company’s remuneration report at its annual general meeting on 13 June. One shareholder advisory firm, ISS, has issued a report recommending they do so, highlighting a "substantial enhancement" of Sorrell’s pay package among other factors including "a low level of transparency in the remuneration report". However, a WPP spokesman criticised ISS for looking at the issue from a purely UK point of view "with no regard to the global market in which WPP operates". The other five of the big six advertising groups, including WPP’s biggest competitor Omnicom, are listed outside the UK. "WPP, Omnicom and Interpublic all compete for the same international clients every year and every day and for ISS to look at WPP on a purely domestic UK basis is not reflecting reality," he told Campaign. Omnicom increased the total package for its chief executive John Wren from $10.8m in 2010 to $15.4m in 2011. Interpublic chief executive Michael Roth was paid $10.2m in 2010 and $13m in 2011. Publicis Groupe's chief executive Maurice Lévy was paid €6.2m in 2010 and €3.6m in 2011. He has opted to give up his €900,000 salary as of 1 January 2012 and take entirely performance-related pay. Chief executives typically derive most of their compensation from performance-related bonuses and share-based long-term incentive schemes, which are linked to multiples of their base salaries. 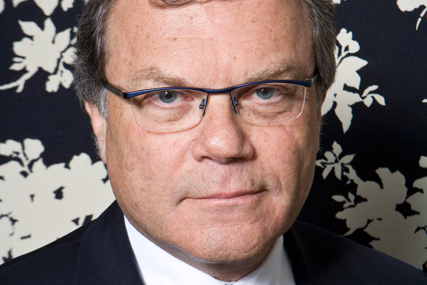 Sorrell's base salary, which had stayed at £1m since 2007, was increased to £1.3m in 2011, while the maximum payout he could get from WPP's bonus scheme was increased from three times salary to five times salary. Wren has not had an increase in his $1m base salary for nine years, but the maximum payout he could get from Omnicom's bonus scheme was raised from 12 times salary in 2010 to 24 times in 2011. Think BR: How does one keep an entrepreneurial lion under control?